Face primers are essential in ensuring that our foundation goes on smoothly and that our face makeup lasts longer. Here are my picks for affordable foundation primers, whether it is to fill up the pores or to add in the foundation sticking to the skin. I tend to have oily skin, but recently my face has evolved slightly to more of a combination skintype where I get oily noticeable in my T-zone. 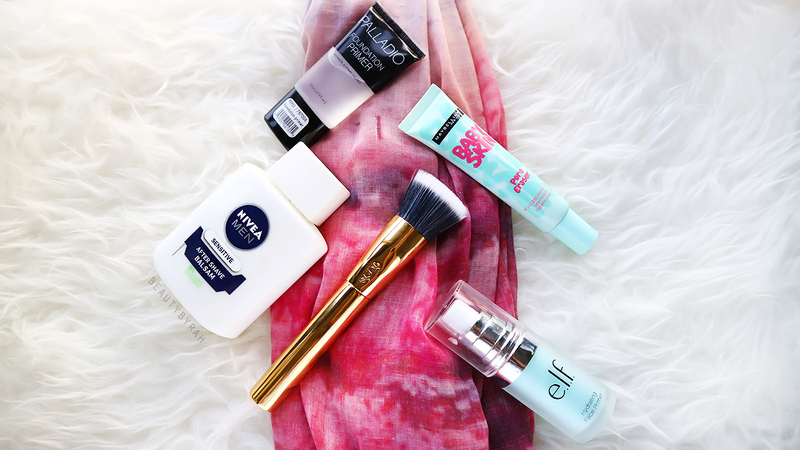 Despite the difference in my skin type, I noticed that these face primers do work well on both and the best part is that they are definitely affordable. Both the Palladio Foundation Primer (SGD 15.90) and the Maybelline Baby Skin Pore Eraser (SGD 21.90) are really great for filling up the pores and smoothing the skin before foundation application. As they are silicon-based, pressing it into the skin helps to even out the skin texture. These two primers feel really nice on the skin, without being too heavy and plastic-y. It blends easily onto the skin and you only need a small amount. My foundation goes on smoother with these underneath, and I do like that it minimises the appearance of the pores around my nose. Elf Mineral Infused Primer (SGD 8.50) or my Nivea Men Aftershave Balm (SGD 10.50). I do find that these primers really do help to extend the wear of my foundation. If I know that I have a long day ahead of me, I would usually opt for these. As the Nivea Men Aftershave Balm contains high concentration of glycerin, it really does help the foundation to stick to the skin. I like to apply this onto the skin (a little goes a really long way), wait for it to be tacky before applying my foundation. The ELF Mineral Infused Primer is not pictured as I just ran out and I threw it away before I thought of writing this post! That was my second bottle and I really like this primer. It works great in helping my foundation last and I do find that it helps to keep my oils at bay as well. As my skin became more of a combination skin type, there are times where I feel that my cheeks are slightly tight after long hours in the office where the air conditioning is constantly blasting the skin. 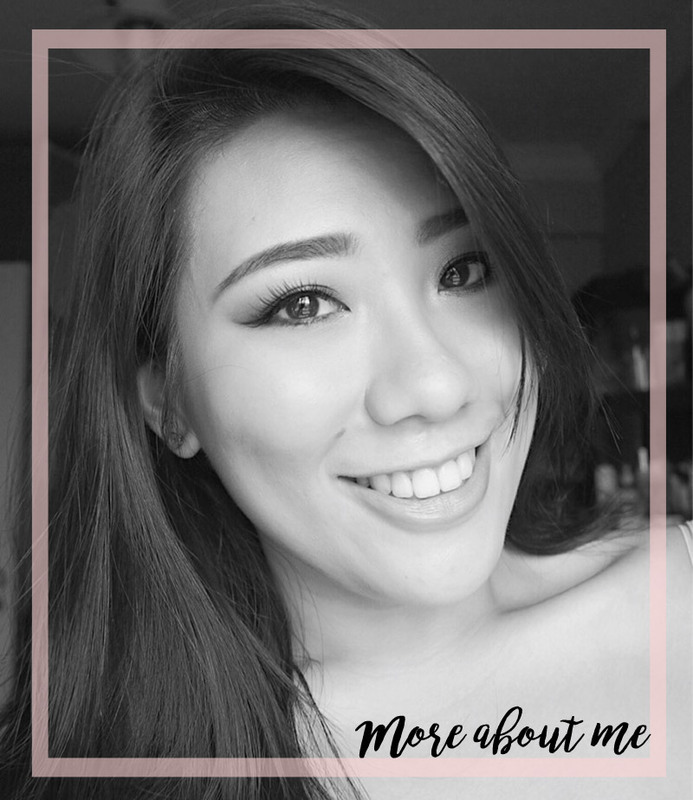 I like to use the ELF Hydrating Primer (SGD 8.50) on my cheeks area to help add moisture to the skin and I really do notice that I rarely feel the tightness after using this. Also, as I do swim pretty regularly, my skin can get a lil sunburnt and dry, and I find that applying this before foundation really does help the skin to be less crepe-like and plumper with hydration! The Palladio Foundation Primer can be found in selected Guardian outlets whereas the Maybelline can be found in all local drugstores. For my ELF primers and the Nivea After Shave Balm, I got mine from iHerb.com (a real favourite website of mine!). *If you would like, you can use the code QFR109 for 10% off your first purchase at iHerb! 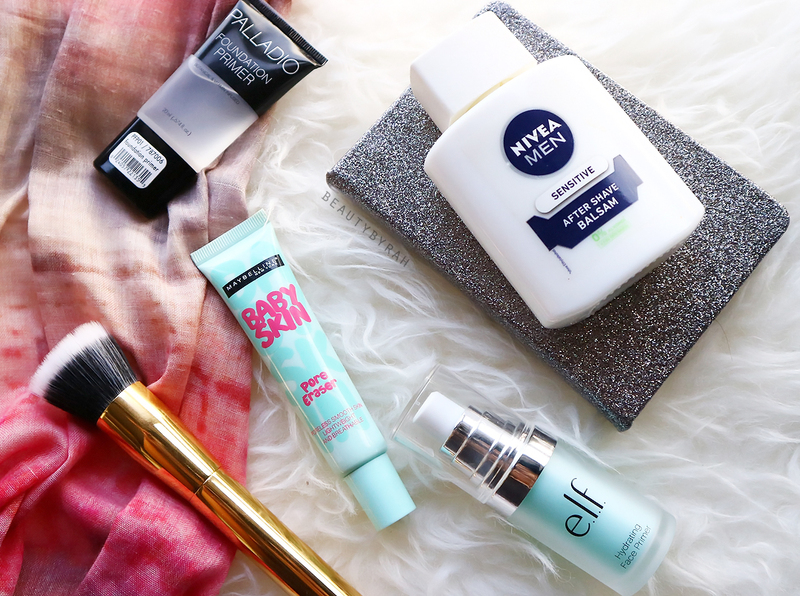 What are some of your favourite makeup primers? Do share!